Jutta has made many photo series with me, so we did a variety of different things. 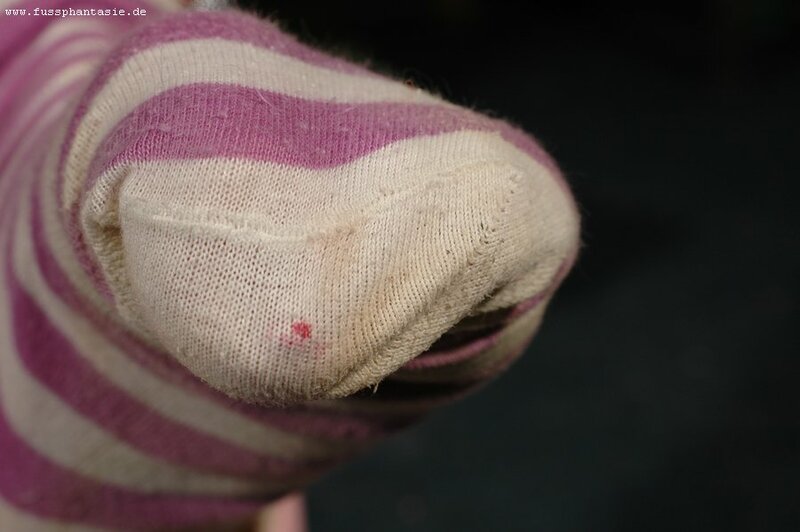 One thing which hits me every time are dirty and well worn socks. 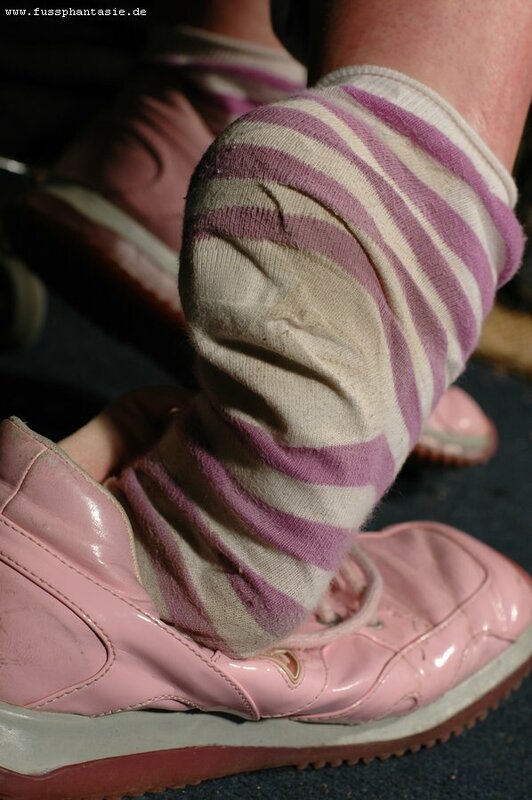 Jutta had no problem with wearing her socks for many days and she was the first model who sold socks at fussphantasie also. In this archive pack I arranged four old but gold series together. 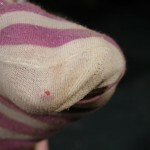 One of the first shootings ever was “Violet Striped Socks”. 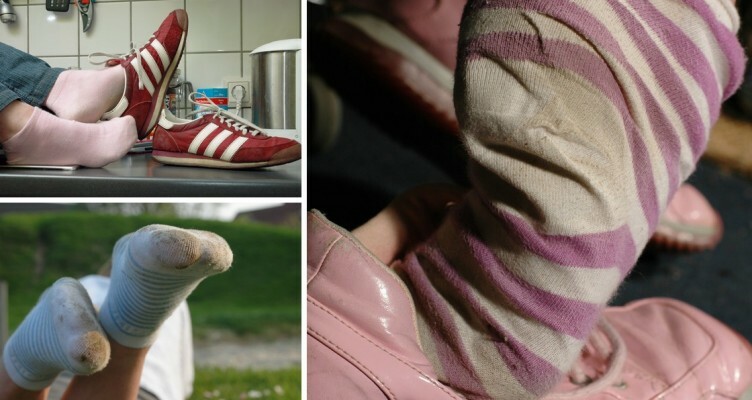 Jutta had some rosé colored Esprit plastic shoes which did some awesome things to the socks. Namely, the socks got wet from sweat. So these shoes had a leading part in the second series “Five Days”, too. As you can guess, Jutta was wearing the white socks for five days and oh my god, this shooting was awesome for me. To lie on the ground, with the camera only a few inches away from those dirty socks. 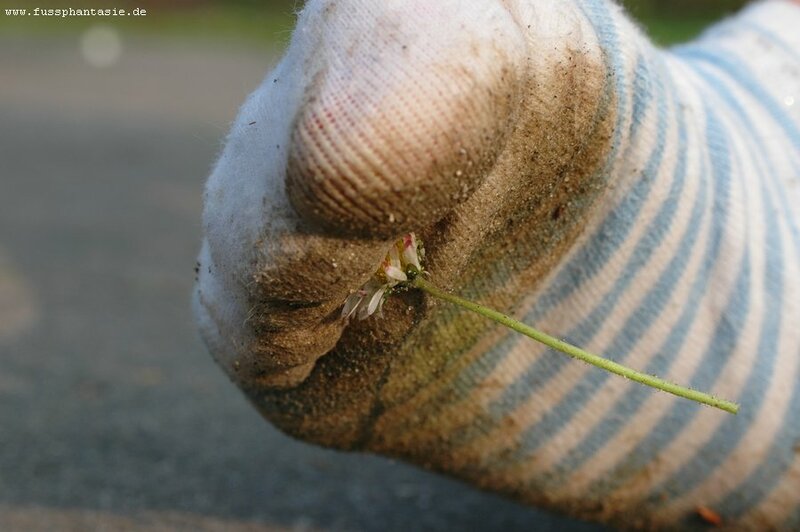 The third series is called “Nature Socks”. 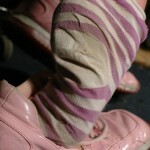 This time we were outside, Jutta was wearing her ‘sock order shoes’ and had some blue-white striped socks at her feet. Eventually she went around the muddy grass and her socks got really dirty. This went along with some daisies crushing in the end.